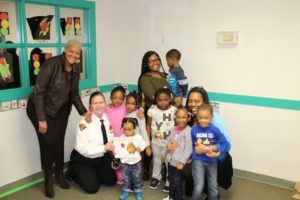 Students in the Leopard class at the Council for Economic Opportunities’ Louis Stokes Head Start Center enjoyed a visit from a special guest reader, Deputy Chief Joellen O’Neill from the Cleveland Police Department. 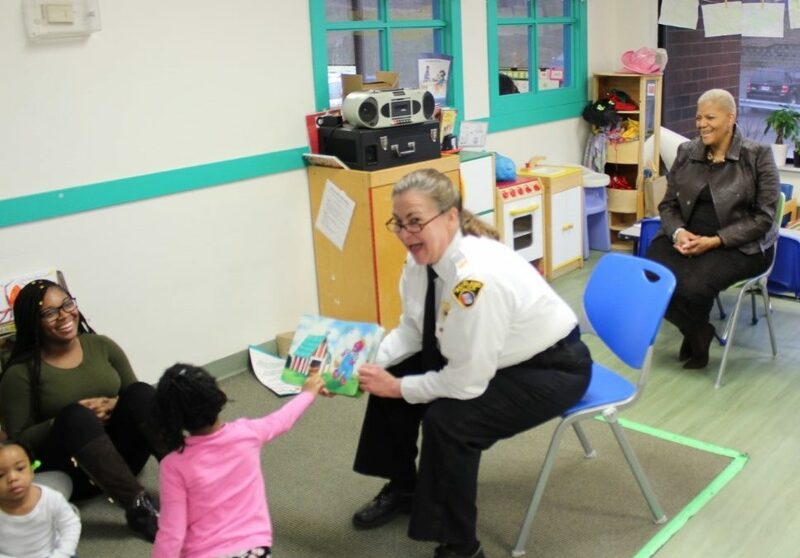 The students not only enjoyed Deputy Chief O’Neill’s animated reading but were also thrilled to meet a police officer. 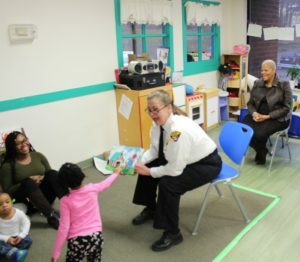 Deputy Chief O’Neill’s visit was part of the Friendship through Reading initiative that aims to create an open, positive relationship with the police department. 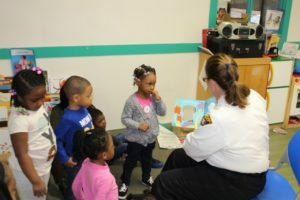 After she read, she took pictures with the students and answered their questions.